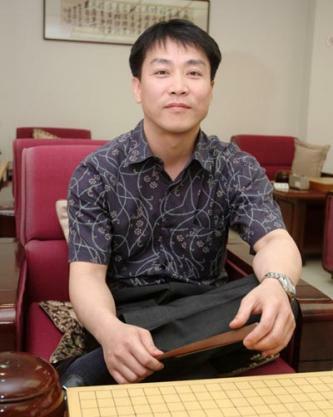 Kim Yeonghwan, 9-dan got the special invitation for the Tonyang cup - the biggest online Go tournament in Korea. He plays under his real and the pressure is very big, because other players in his group are using nicknames instead. I know Kim, 9-dan well - he was one of my teachers in Korea. Kim Yeonghwan, 9-dan is very good at fighting and he likes to fight very much. Also he is famous for his ability to give lot of handicap stones to weaker players. He can give bigger handicap than Lee Changho or Lee Sedol! Here is the first game Kim played against "hua", 9-dan from China. "Hua" is very famous on Tygem and is probably in best 20 on this server.